There was once a little worm. He lived in a garden. It was a fairly big one, so he had lots of room to wiggle around, find the best places to eat, sleep, and play. He was very glad that he lived in a garden and not out in the woods where wild animals lived. He considered himself to be very civilized. Besides, animals out there ATE worms like himself, which he thought was unacceptable, because worms were a big part of making plants grow and bunnies would eat the plants and foxes would eat the bunnies and bears would sometimes eat the foxes and just the thought of helping feed the bears made him puff up with pride! Of course, there was down sides to being a garden worm. There were humans – little ones – children – that were constantly coming to try and capture the worms – sticking them in jars and calling them pets! The larger humans called them Annabelle, Henry, Fiona, and Thomas. The worm called them pests. The thought made him want to curl up. But he didn’t. He just crawled out of bed, (you may think crawling was a sign of him not feeling good but it was normal for him because he was a worm and couldn’t move any other way) and started eating, or as scientists call it: decomposing – eating the good stuff and leaving the bad. He worked his way up to the surface and then he ate quickly a few bites up there then dove back down because it was almost time for the robins and sparrows to get up – and the sparrows were especially fast! He quickly retreated back to his own hole, back to the safety of the underground. The End. I have a fun thing for you guys today. 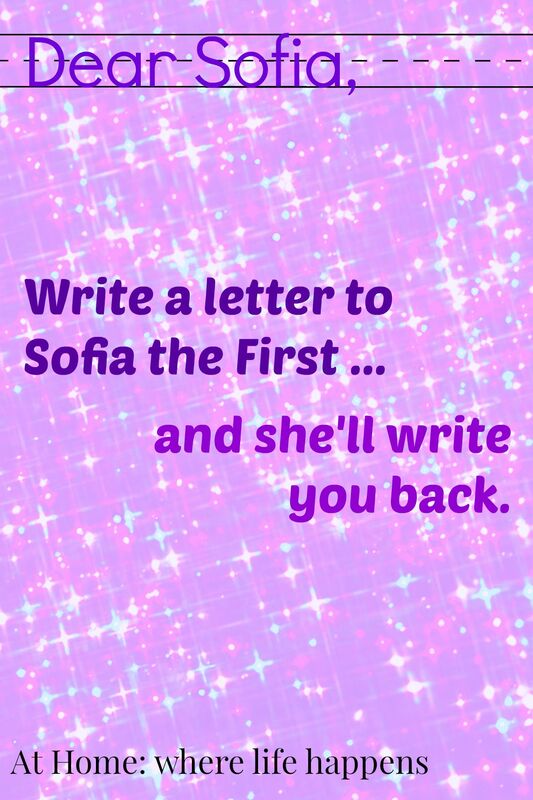 We stumbled across a way for your little girls, or your bigger girls, or whoever enjoys Sofia The First to be able to write a letter to her. It was in the September 2015 issue of Family Fun that came yesterday. The fine print says that if you include your return address on the envelope, Sofia will write your child back. There is the disclaimer on it that says not every letter can be guaranteed a reply should any errors occur with the mailing process and letters should be received by 12/31/15. But, still, its worth a chance, right? J cut it out right away and wrote the letter. It is finished and she’ll be mailing it off at the first chance. Any chance to get them writing that they are excited about has me excited too. Do you have anyone in your home who is going to want to write to Sofia? **Disclaimer: The name Sofia the First and all of these images are not mine. I copied them directly off the pages from the magazine so that you all would know that this was not a random thing I dreamed up. The name Sofia the First is, of course, a Disney name and so copyrighted, protected, and all that other legal stuff. Family Fun is also, I am sure, copyrighted and protected and trade marked. If you follow At Home on Facebook, then you may have seen this video that I shared there. We got some sleet and snow last night and I thought today was a good day to use this video for a creative writing exercise. I played the video for the girls but they were not allowed to see it. They could only listen. It is short, only about a minute. So I played it twice. 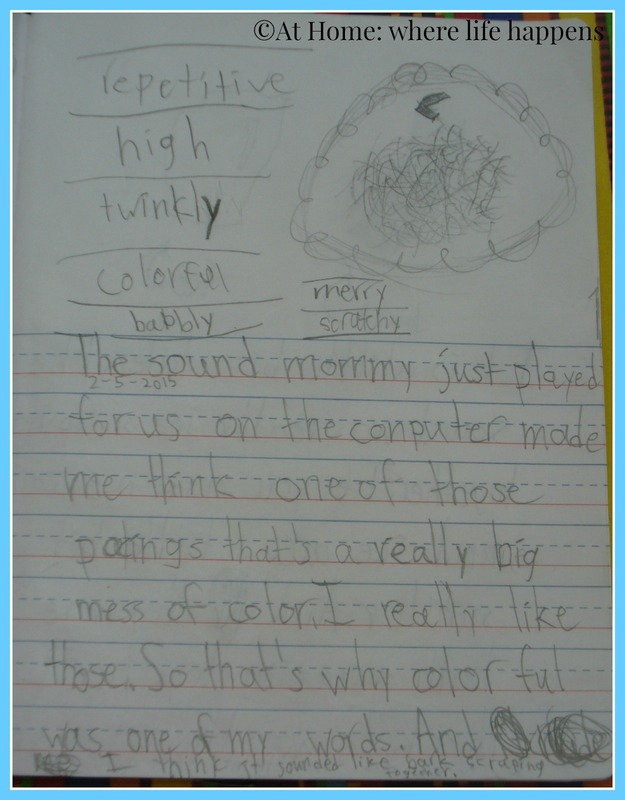 In between, I told them how many adjectives they had to use to describe the sound in their journal. E had to use six; L had to use 4-5; J had to use 3. 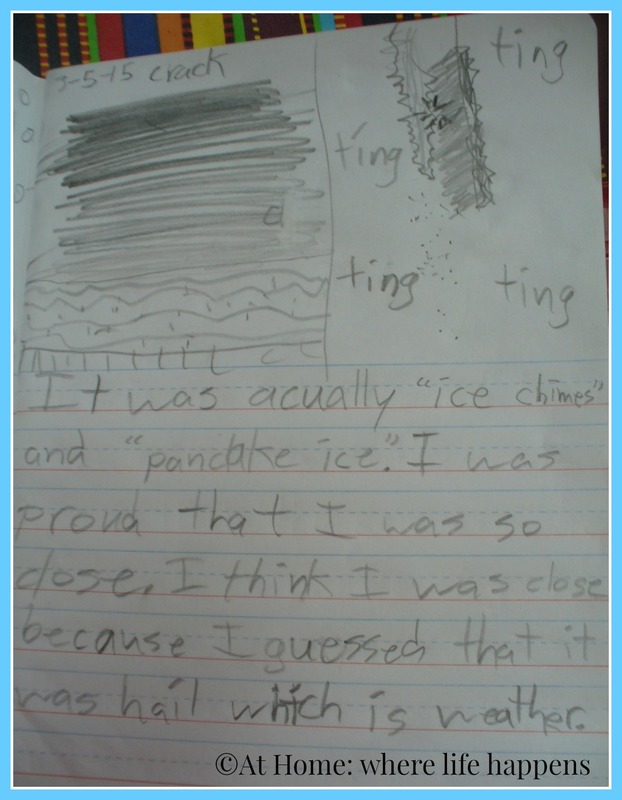 Having completed the writing and drawing about what they think they heard, we talked about what they thought it was. I then showed them the video with sound. We discussed how the sounds were similar or how they were different, now that they knew what they were hearing. We talked about how sight can affect hearing and vice versa. The final part of the exercise was writing another page about what it actually was they heard and how they reacted when they found out what it was. This is fun and fits right in with our weather discussions going on with Katy and the Big Snow, our current FIAR selection. We looked up pancake ice and found some additional videos and photos of it. We used it in our discussion about the states of matter and how it differs from snow and water. 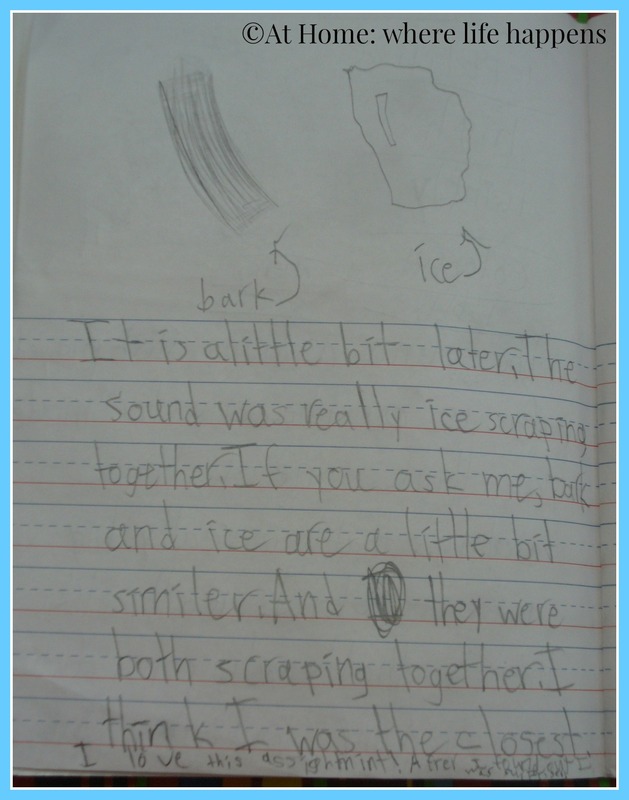 Here are the reflections from E and L.
This was a fun writing activity using a sound prompt. Using something different for a prompt helps them think outside the box. 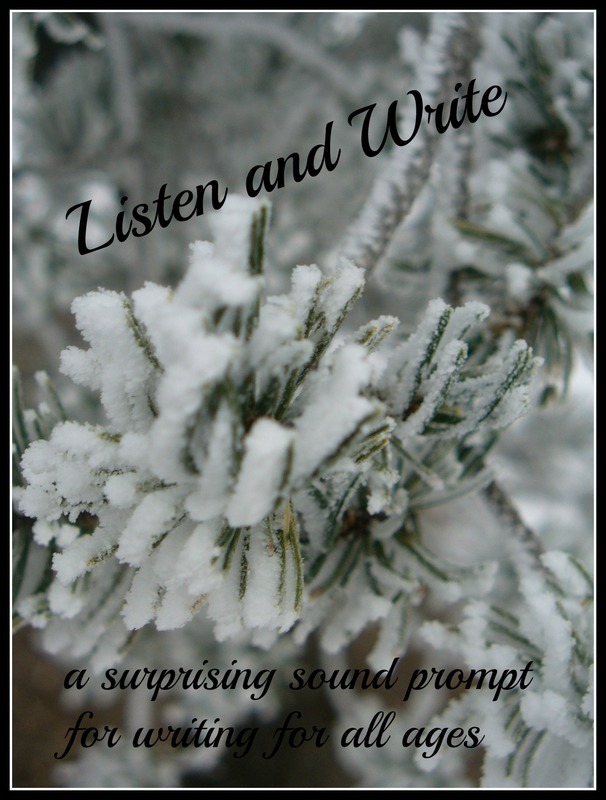 What interesting prompts have you used? I am always looking for ideas. 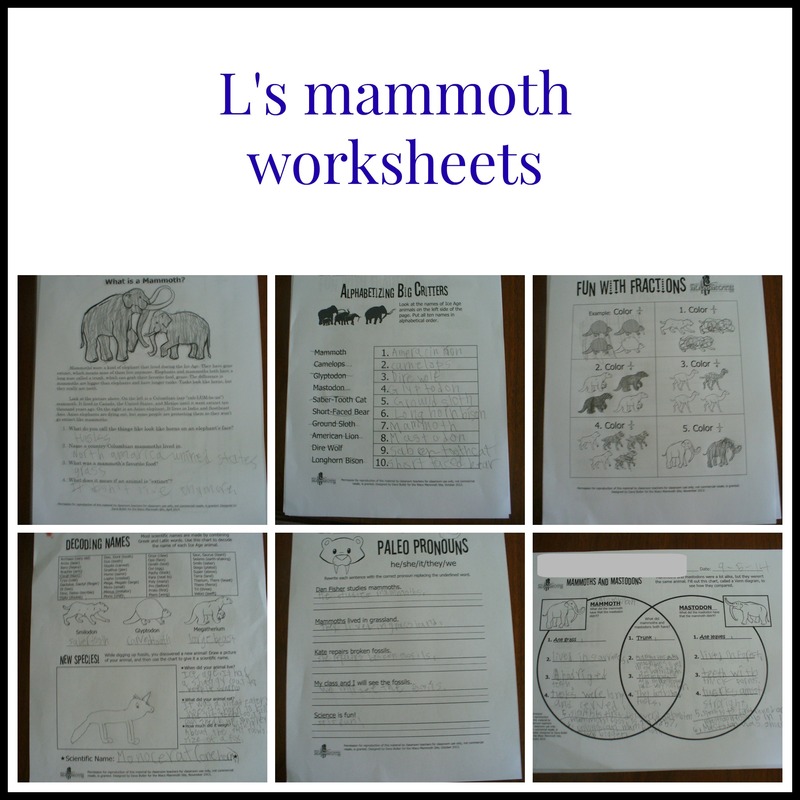 We did a few things relating to the mammoths this week. (See the post on our field trip.) But, I was not in a terribly creative mood, I guess, because I had some real trouble thinking up some ideas. So, after we had used the files from the Waco Mammoth Site, I went with a bit broader category: fossils. The Waco Mammoth Site has a lot of educational printables for various age groups. 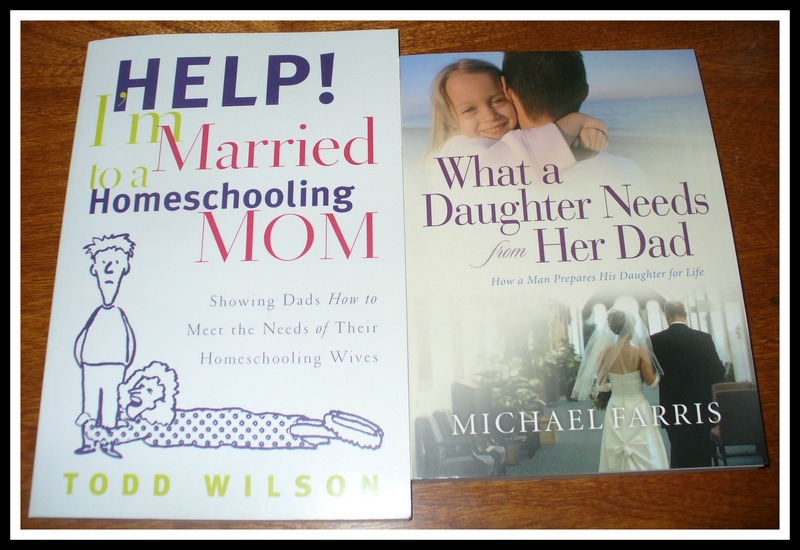 I went through and picked out a few for each of the girls that I felt would appropriately challenge or review materials. Here are the ones the girls did. 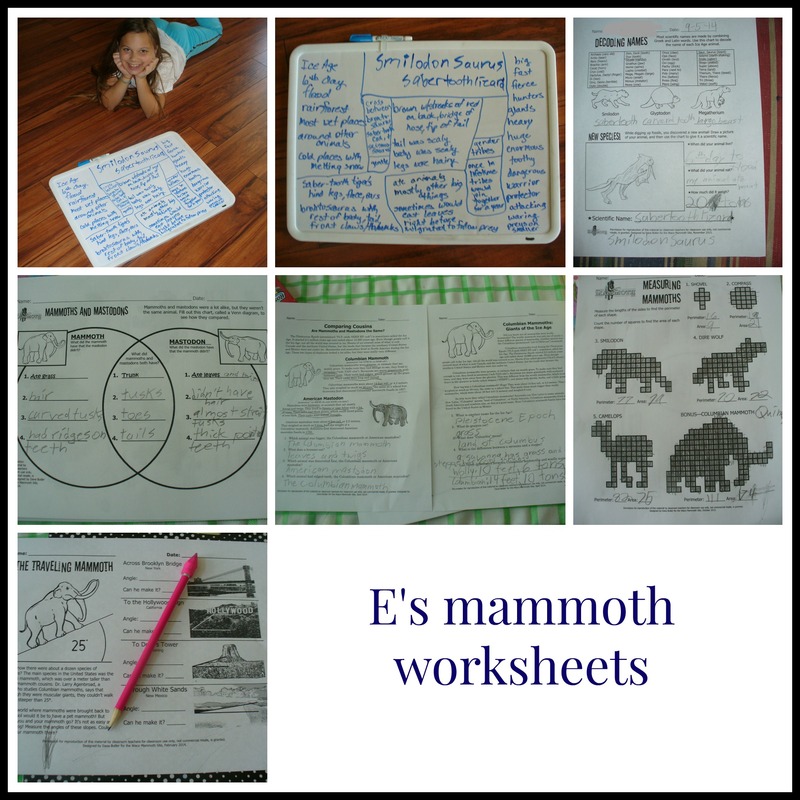 On E and L’s scientific name worksheet, it had them create their own animal using scientific names and draw it. After they had done that, I had them brainstorm ideas about what happened to their animal and more specific details about their animal. They had to come up with a lot of words about their animals. 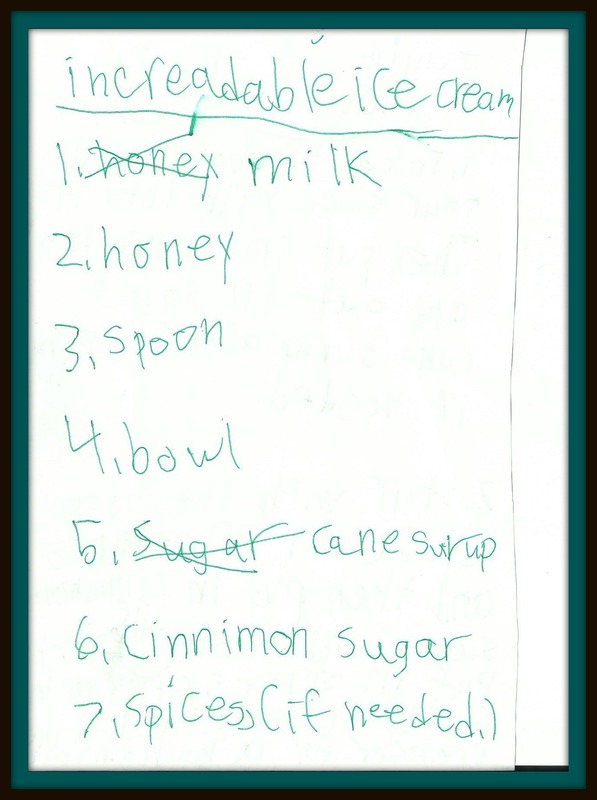 Once we had a white board full, each girl was asked to create a story or a poem or a written account of their animal. I don’t have copies of those finished products but the girls enjoyed that writing assignment. On another day, we explored fossils. 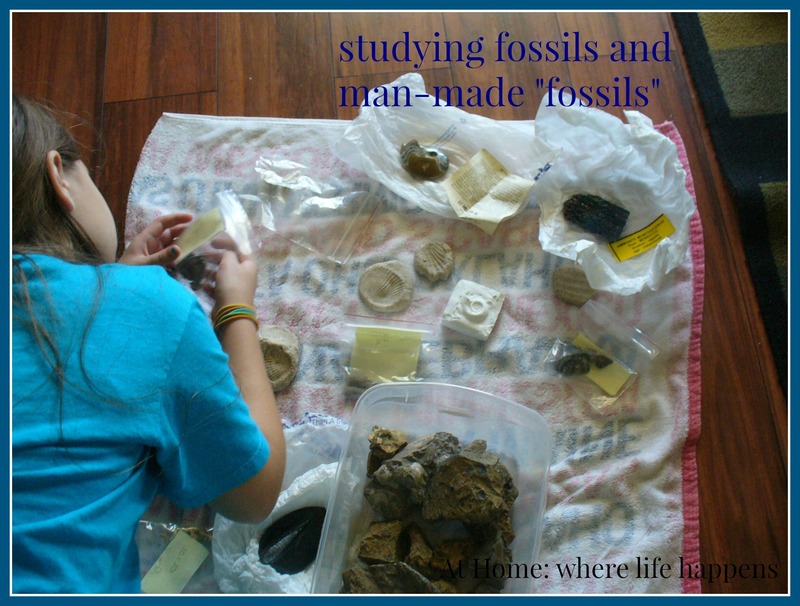 We got down all of the fossils that we have tucked away. E and L got down on the floor (so that dropped fossils would be less likely to break and the floor would be less likely to be damaged) and touched, examined, talked about, felt, and explored the fossils we have. 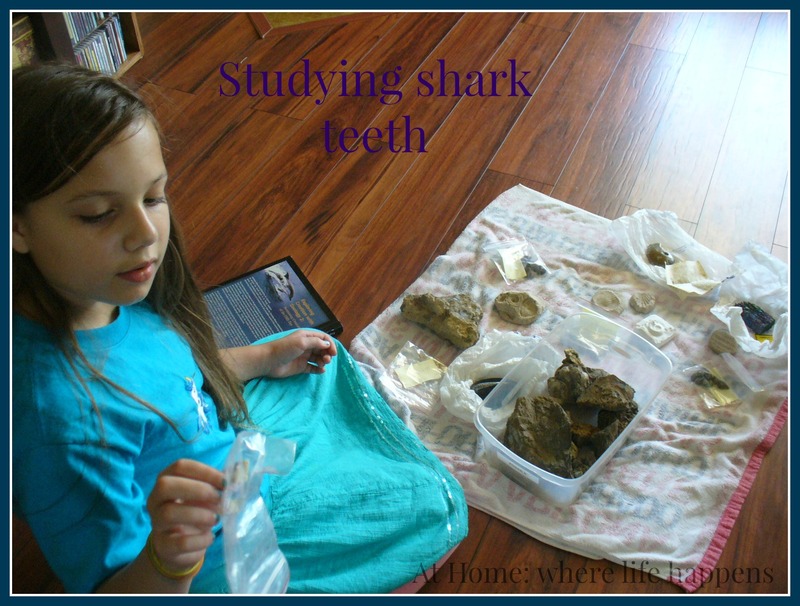 We have various real fossils and then we have a few that were made by pressing a shell or other natural object into plaster of paris or air dry clay. The girls spent probably 45 minutes discussing and talking about all of the fossils. 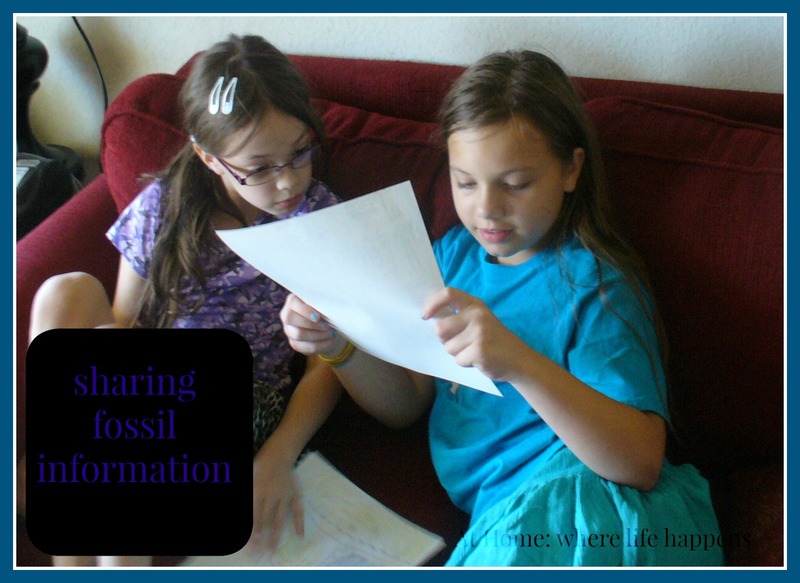 After their chatter began dying down, I handed them a worksheet I had created and asked them to each choose one fossil to complete the worksheet on. This included a measuring activity in both inches and centimeters. There was a box to describe, factually, what the fossil was like. They were encouraged to describe it with as many of their senses as they could, as well as anything specific they could observe about it. There was place for them to draw their fossil. One box had them describing where their fossil might have been found. And a final box had them describing what the fossil might be from and why. 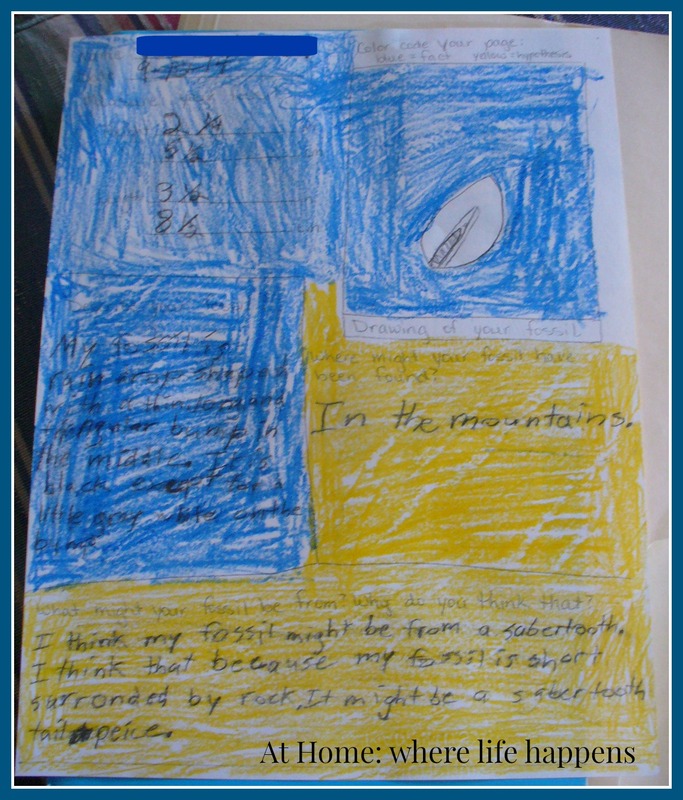 They were also asked to color-code their page: blue for facts and yellow for opinion/theory/hypothesis. It surprised me that the girls were excited to complete these. E actually asked to complete two of these, so I let her. They also choose to sit down together and share their findings. 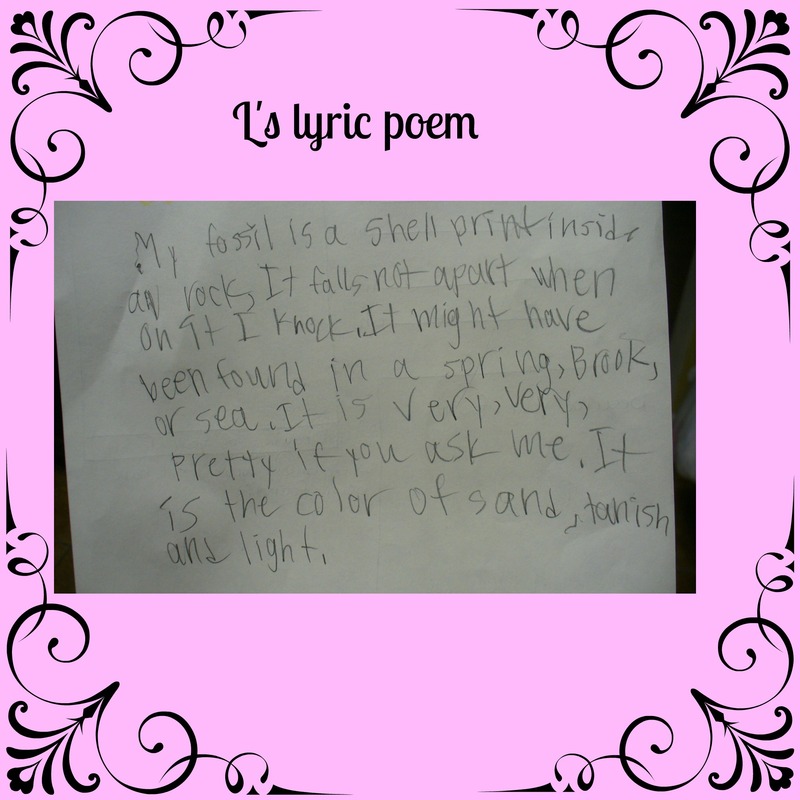 After these were completed, we got out our posters on poetry styles. We reviewed poetry styles, including limericks, lyrical poems, cinquain, and more. 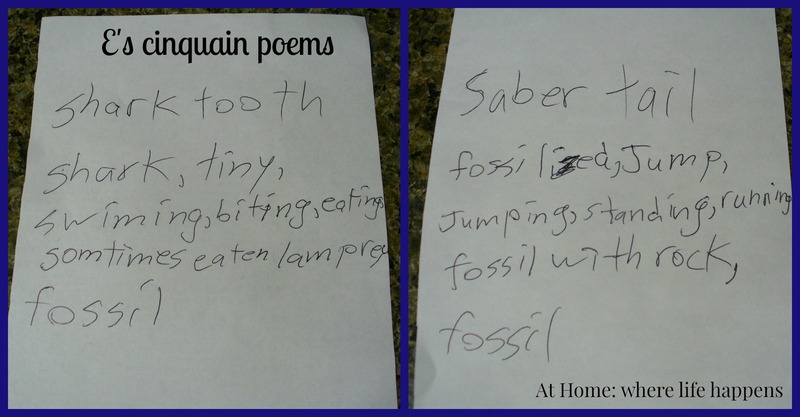 They each chose one style of poetry to use and wrote a poem about their fossil. 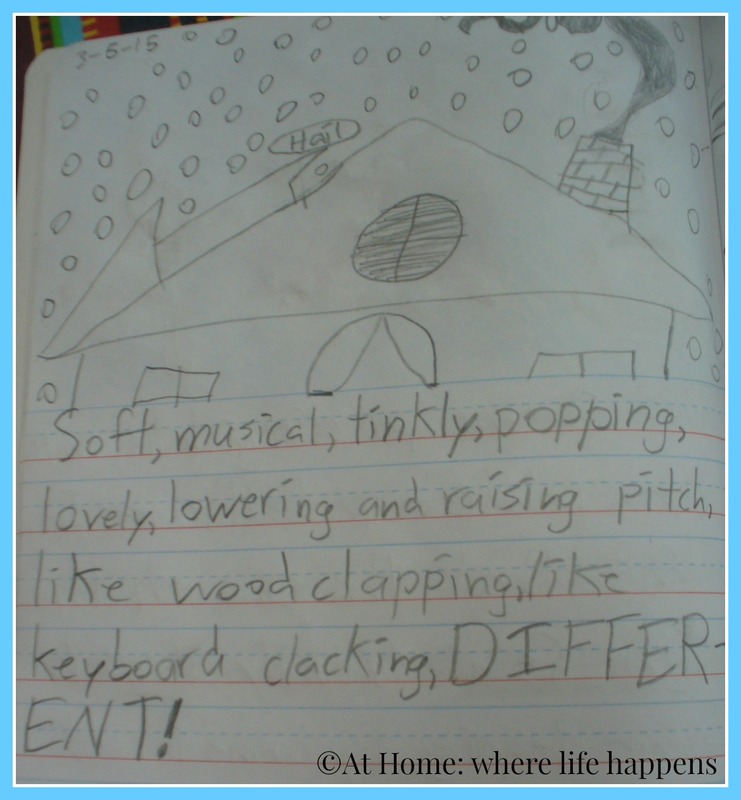 L’s favorite style is always lyrical; she loves rhymes and descriptive phrases and long, flowy sentences. E’s favorite style is almost always cinquain. Here is their poetry. I am linking below to the information page the girls filled out. You are welcome to use this and share it but please link back to this post when you are sharing it. 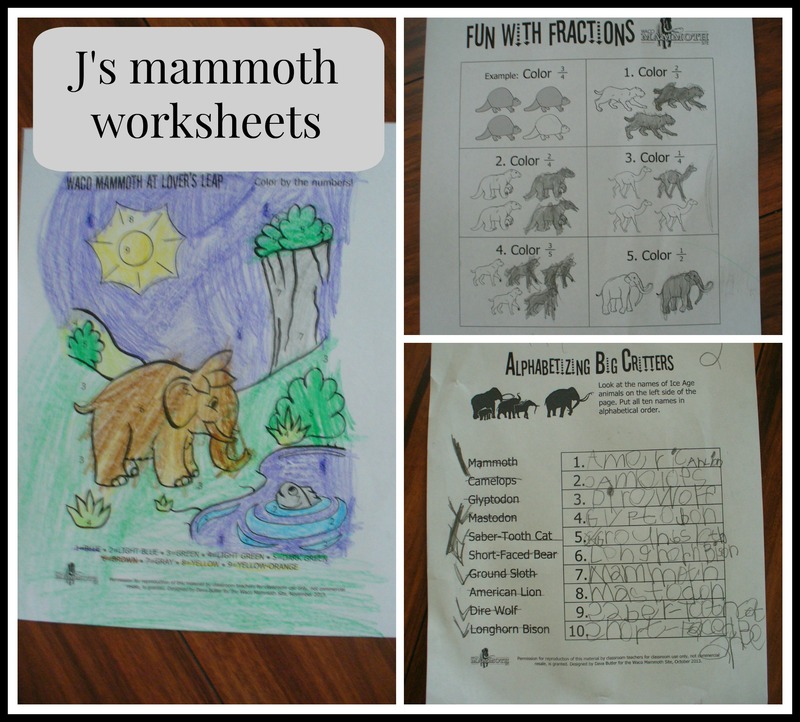 Our mammoth and fossil study has been fun. I have a couple of other ideas that I would like to do but we’ll see if they happen or not! 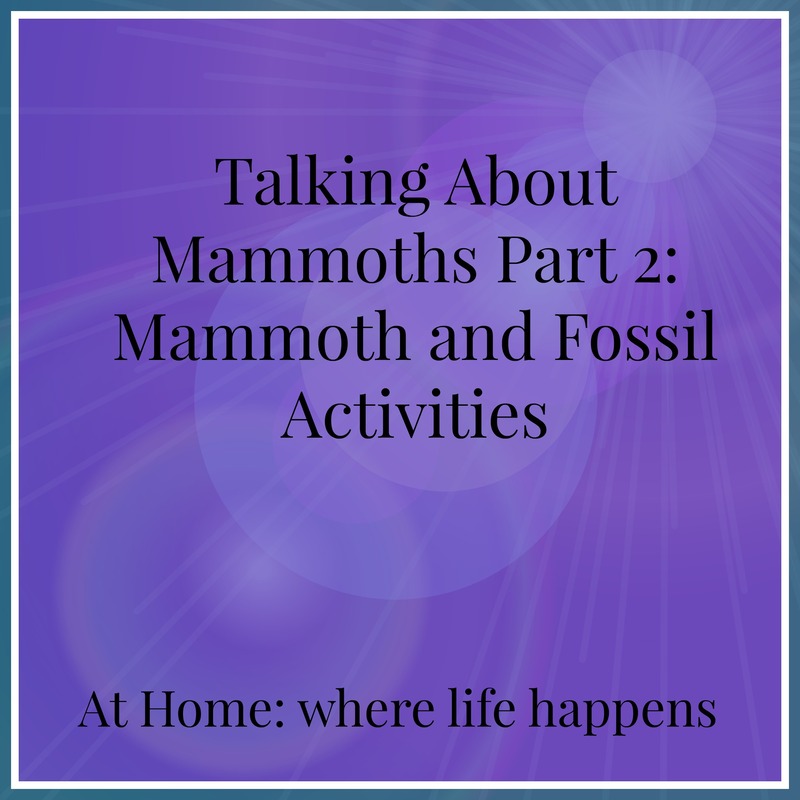 Please share with me if you study mammoths or fossils or something related. I’d love to know what you do. At Home. I know when you read the word experiments you are probably thinking science. But, for this post, you need to think taste! You see, the giggly girls like to experiment with making up their own recipes. 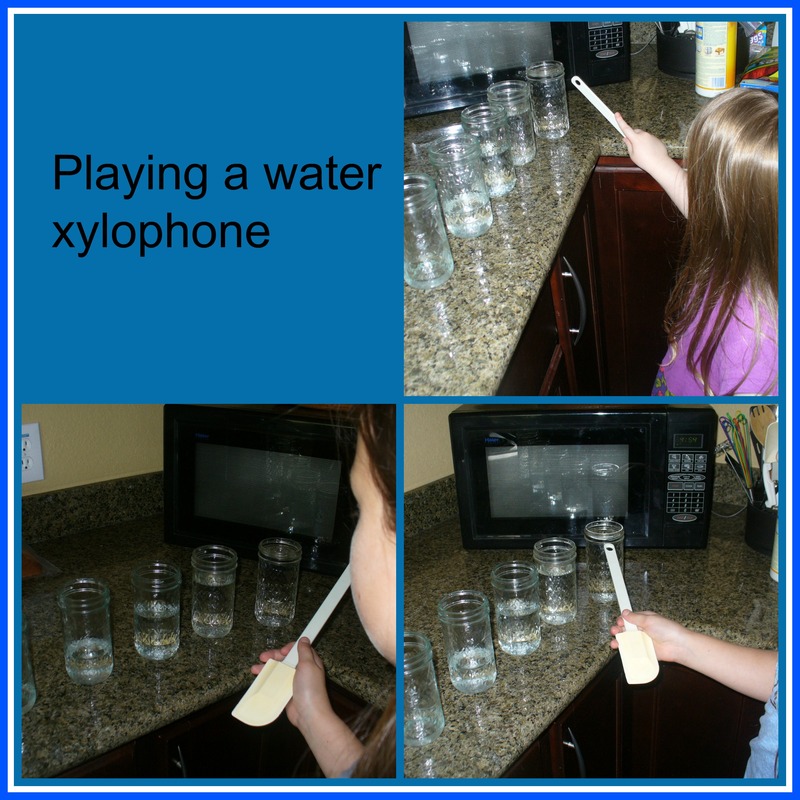 While this is good practice for thinking through different aspects of the recipe, it is kind of frightening for mom and dad because you know who gets the responsibility of tasting all of these experiments, right? Thankfully, most of them are pretty reasonable, though we have had a couple of doozies! 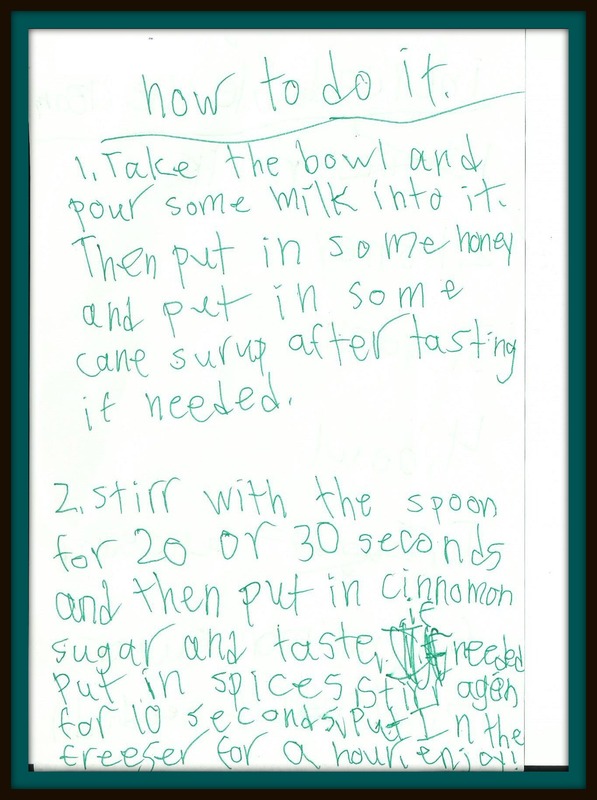 I thought I would share the most recent one as an example of the types of recipe experiments we try around here. I don’t have any pictures of the finished product but, as you can probably tell by the ingredient list, this one isn’t too bad. At least we didn’t have to have something strange like rice in our ice cream today. Perhaps on another day, we’ll be sharing another experiment in the kitchen. For today, we’ll be eating Increadable Ice Cream. At Home. I am linking up with ABC Blogging over at Ben and Me today. This last weekend, I was really blessed. The three giggly girls stayed with their aunt and grandparents for Friday and Saturday so that my husband and I could go to the Arlington Bookfair. It was a fantastic weekend away. We found a cute little bed and breakfast in Duncanville (Alla’s Bed and Breakfast). I wish I had taken my camera with me! It is a small house that used to be home to some of the founding family of Duncanville. They had furnished the home with lots of period pieces. Rick, Alla’s husband, must enjoying tinkering with old electronics because they had lots of period lamps and light bulbs, an 80 year old refrigerator that works, a black-and-white TV from the very early stages of the invention, a color TV from when they were brand new, and a gigantic console radio from the period. The home was furnished with lovely antiques and it was really comfortable. Of course, we got a very good idea of what L will be like when she grows up if her talking habits don’t change – Alla did not stop talking once. Seriously! She had so many stories to tell and lots to talk about. It was lots of fun! At the convention, we heard some great speakers. I won’t try to name them because I will certainly misname someone or mislabel their topic. I do pretty well taking information in but not so good at spitting it back out with something like this. I got some much needed encouragement and some great intellectual challenges. I am following it up with some pretty in-depth study. That may all come out later as a blog post but for now, lots of reading and thinking and Bible checking. 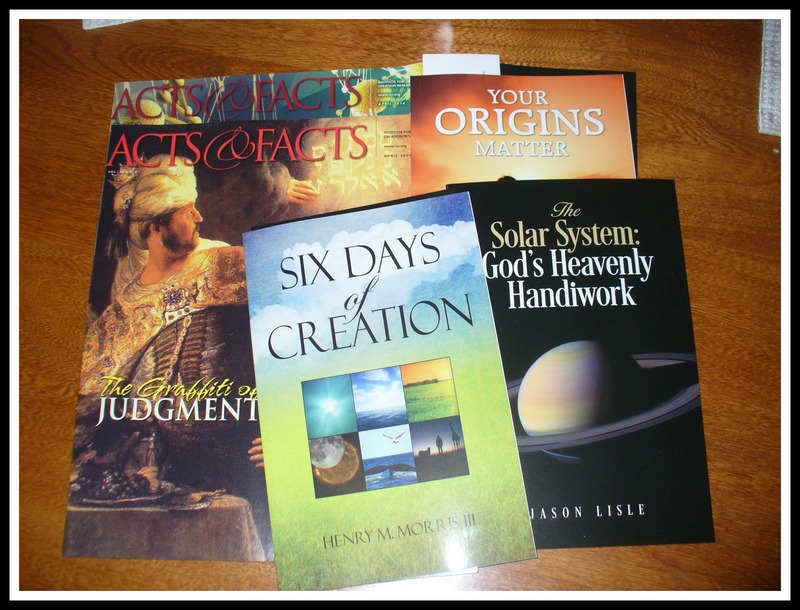 At the convention, we also found some good curriculum pieces to add to their girls’ school work when needed. 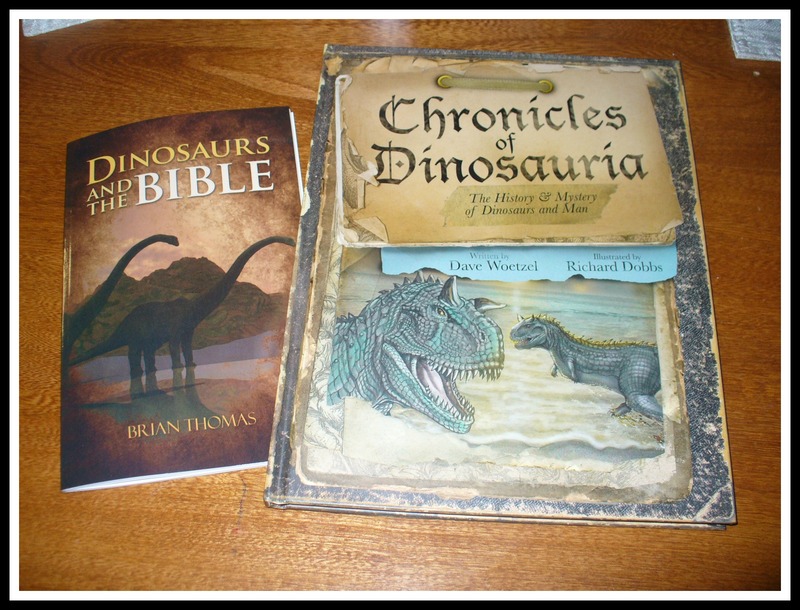 We bought Mystery of History book 1, though I was kind of surprised at a couple of things when we got home. I’ll have to preread it (which I don’t mind doing – it is very well written and I love history!) so that nothing catches us by surprise with the Bible part of this history. 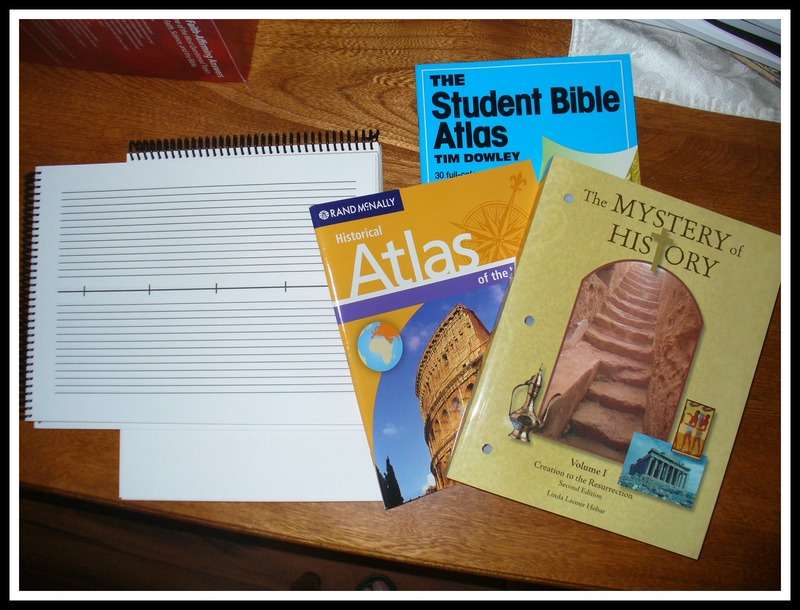 We also found some blank timelines that the girls will fill in as we work through the history. 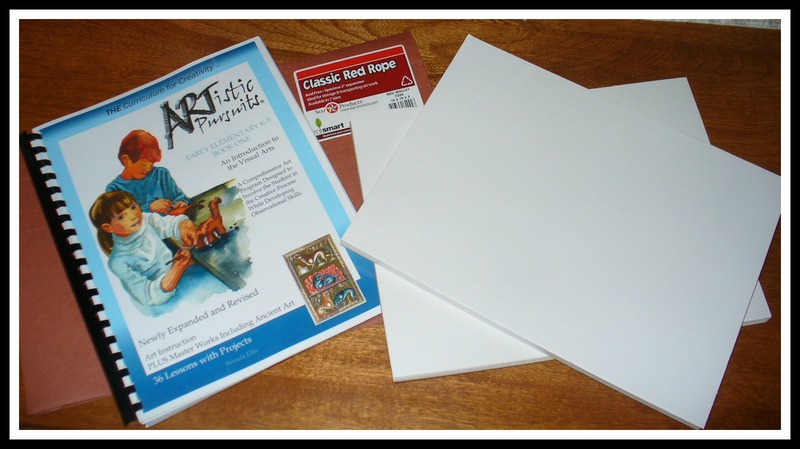 We bought Artistic Pursuits for L and J to share. 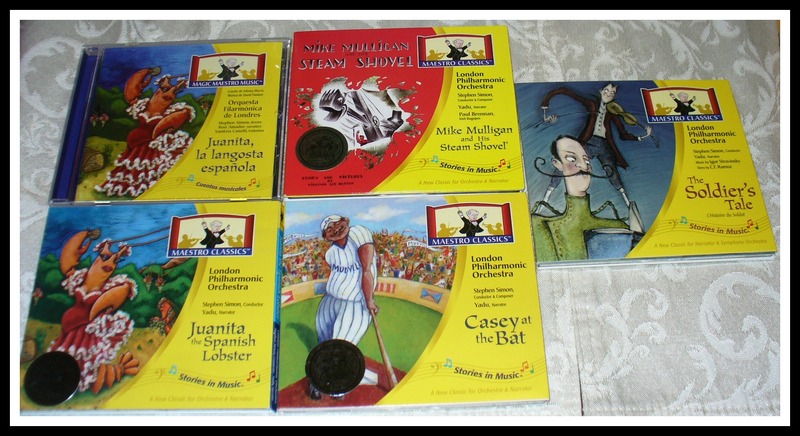 We got more of the Maestro Classics, which I am really excited about. 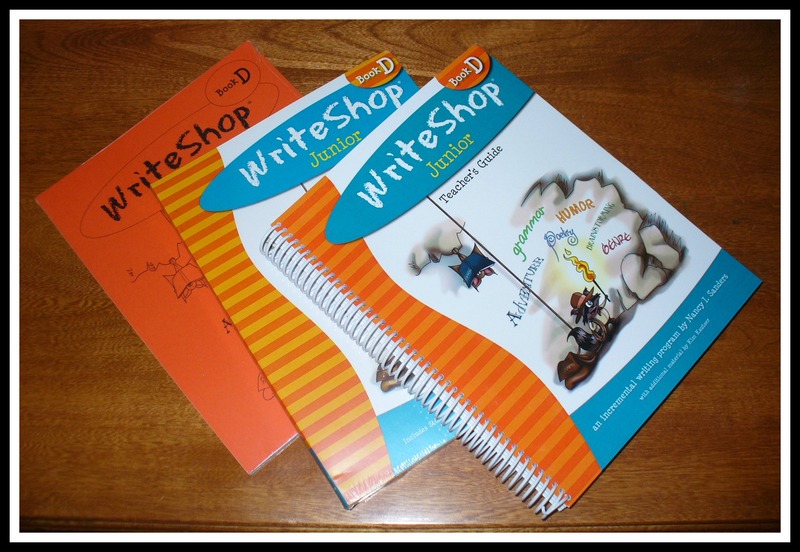 We’ll do quite a bit with these over the summer – fun learning but keeping the brain intact and not turning to mush! The rest of our purchases were research based. 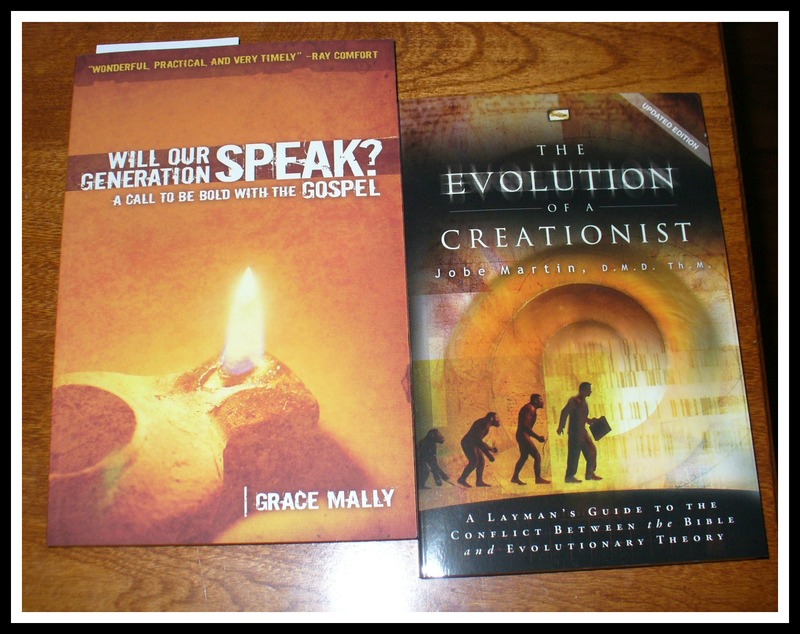 Some of it the girls will end up using but a lot of it was for Joe and I. Creationism vs evolution is quite a big discussion point right now. The girls totally understand that God created the world so that isn’t something we have to deal with. 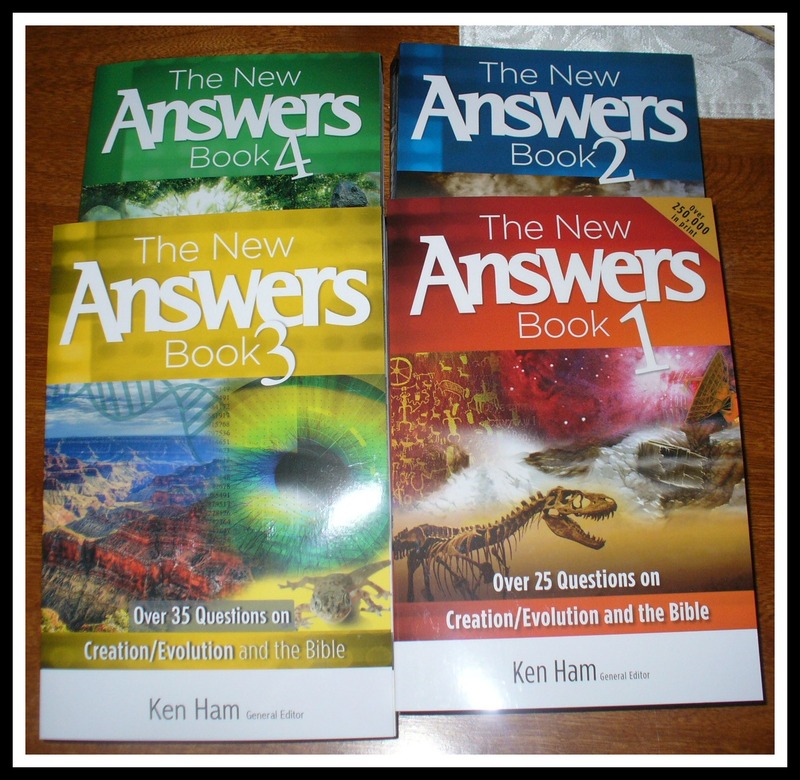 However, as they get older, they are coming across the details in science that conflict with that and we are gearing our brains up to be able to help them understand it all clearly within the science realm of it all. Also, sometimes, you just want something new to read. 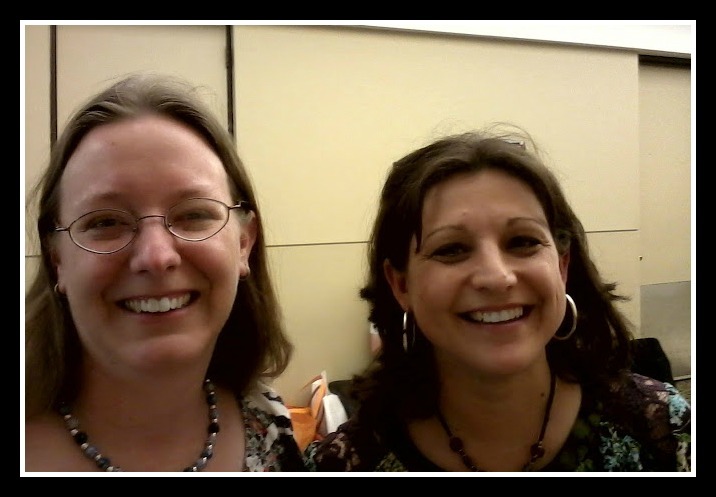 One of the highlights of my weekend – getting to meet Gwen, a fellow Review Crew member. This is the first lady from the crew I have gotten to meet in real life. It is nice to meet someone in person that you are getting to know from your time online. It was fun meeting her and some of her children. (They were so polite and kind and a joy to talk to.) The more Gwen and I talked, the more we found we had in common. It was really a pleasure and a treat to get to meet up with her. 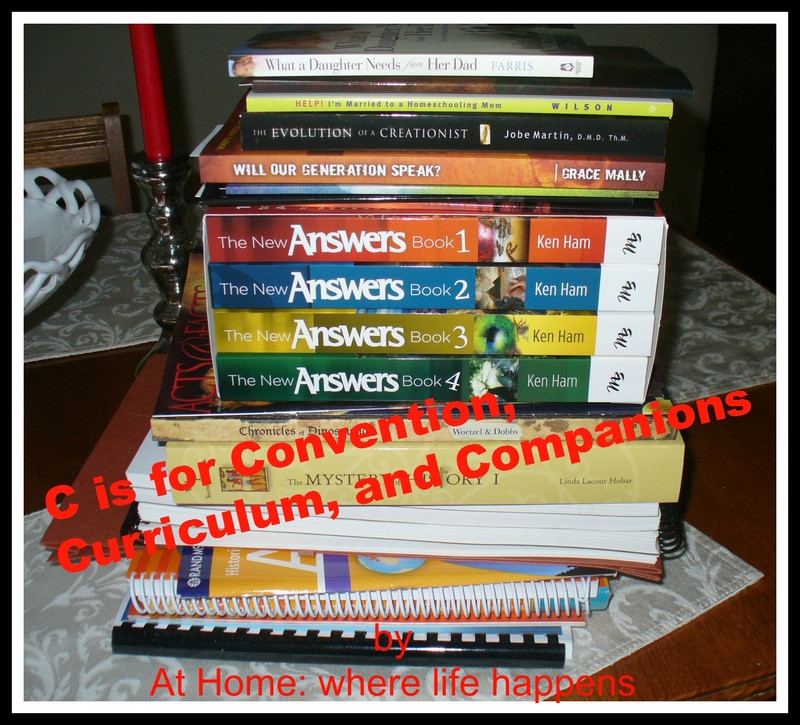 So with convention, curriculum, and companions – C – I am happy, geared up, and ready to go again. 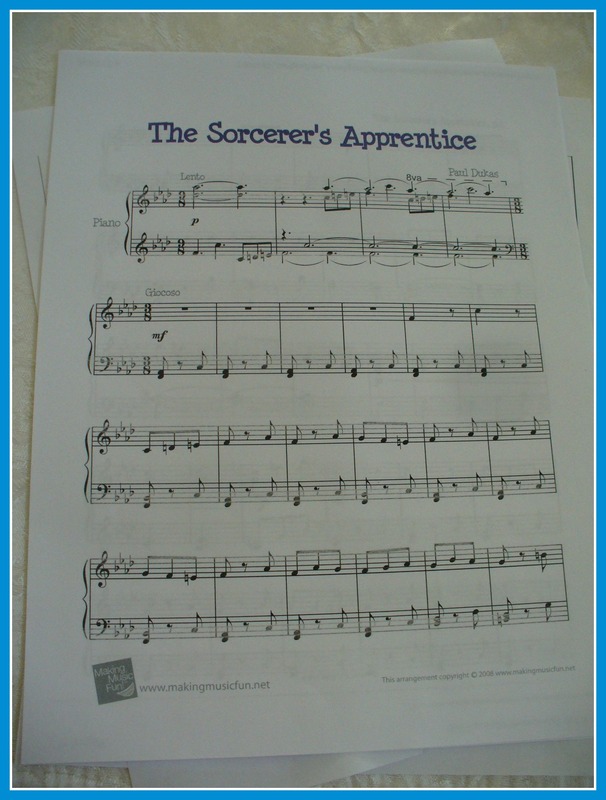 We are currently working on a review for a CD about The Sorcerer’s Apprentice by Paul Dukas. We are really enjoying it and there are so many resources to go with it! You’ll have to watch for the official review. Today, we are going to show you some of the extra activities we did to go with the CD. A friend gave us these scratch off papers she got at the dollar store. 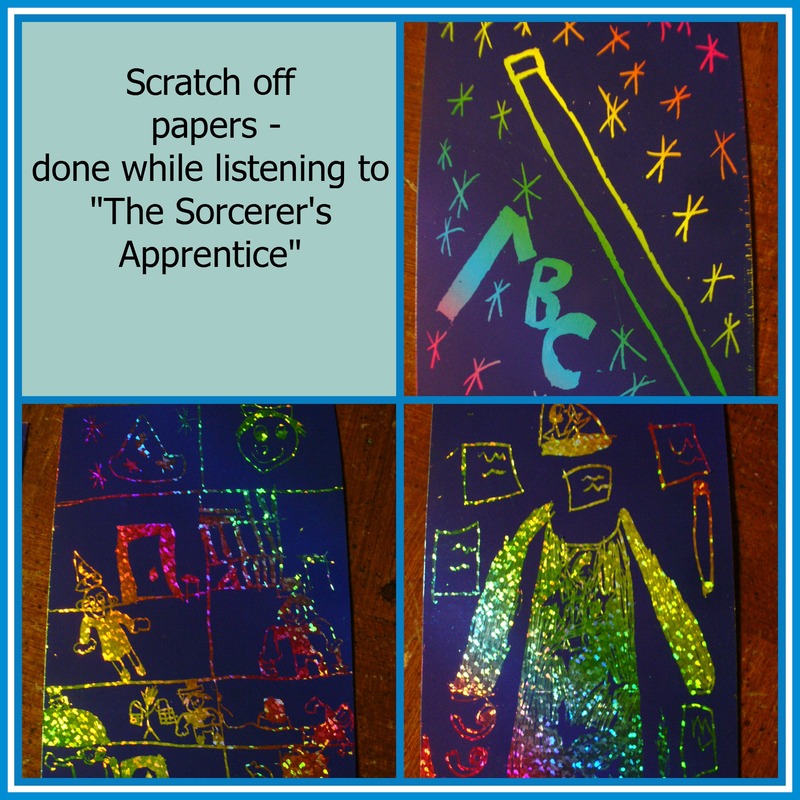 We used them to create a picture that reminds us of the tone poem The Sorcerer’s Apprentice. 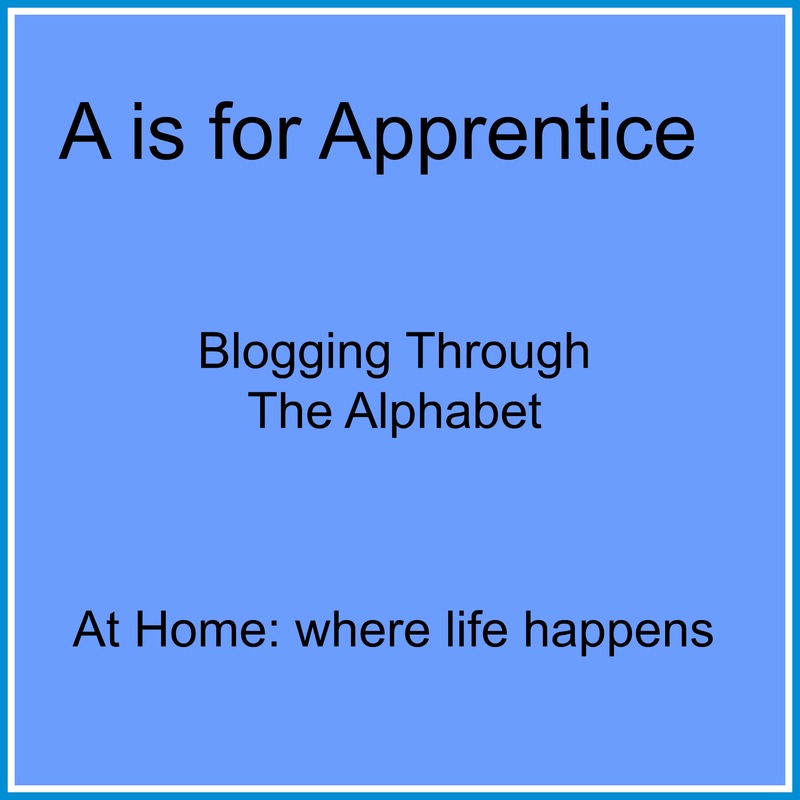 The oldest giggly girl chose the ABCs, because an apprentice is there to learn, and a wand, because the apprentice uses magic to get out of a job that he is too lazy to do. The middle giggly girl chose to create a tapestry. (We are studying Apologia’s “What In The World Can I Do?” and talked about tapestries recently.) She said the music told a story and reminded her of God.) 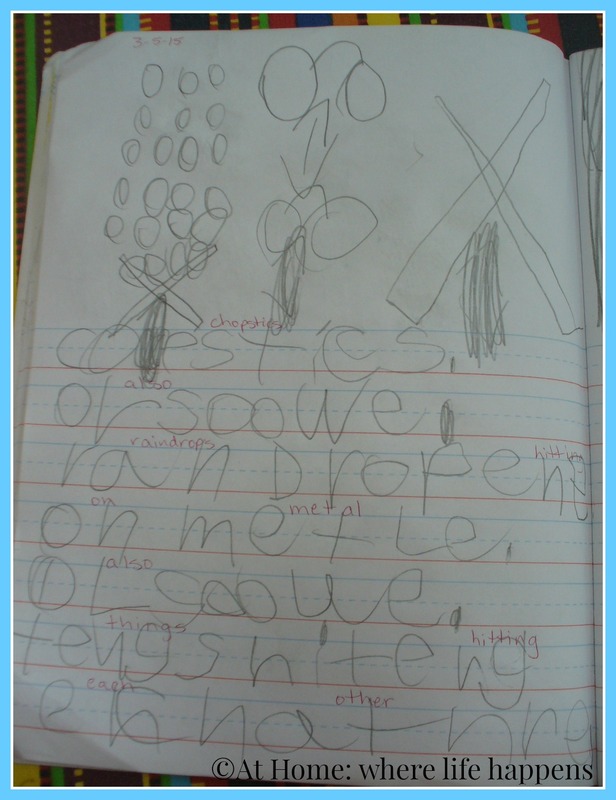 The youngest giggly girl created a picture of all the things a sorcerer would need – hat, clothing, spell books, wand, and more. We watched the animation of this piece of music on the Disney Fantasia DVD. This got mixed reviews from the girls but the general consensus is that this was not their favorite version. We used the booklet that came with the CD from Maestro Classics. It has a few different activities in it. There is a crossword puzzle that the two older giggly girls worked together. There is also a very short matching game, where you match up the composer and two poets with an item that represents them. I found the piano music for the March of the Brooms from The Sorcerer’s Apprentice on Making Music Fun. I played it on piano and the girls danced. 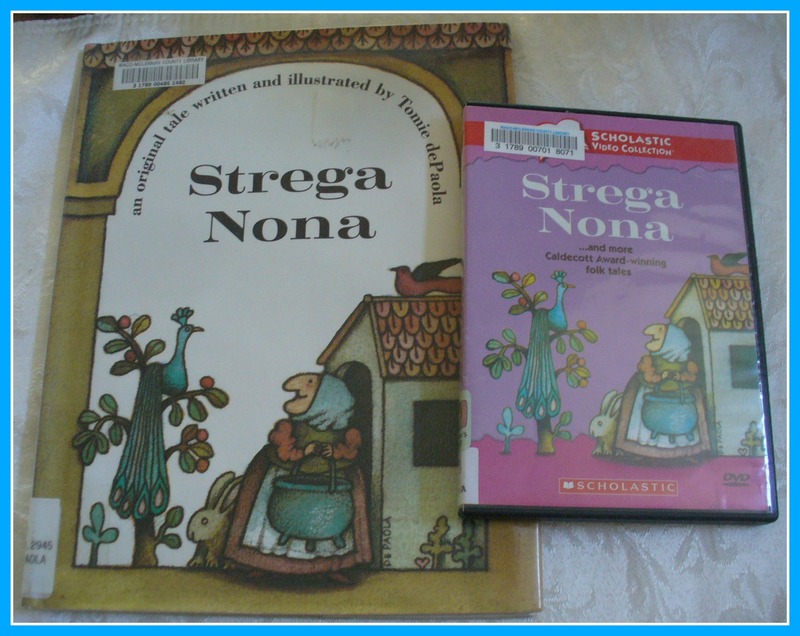 We found a book about another magical sorcerer, Strega Nona, and her apprentice, Big Anthony. We borrowed the book and the Scholastic video from our library. We read the book and then watched the video. The girls picked up right away about some of the animation and how it changed or differed from the book. We talked about those changes and why they might have been necessary. They compared the book and movie. 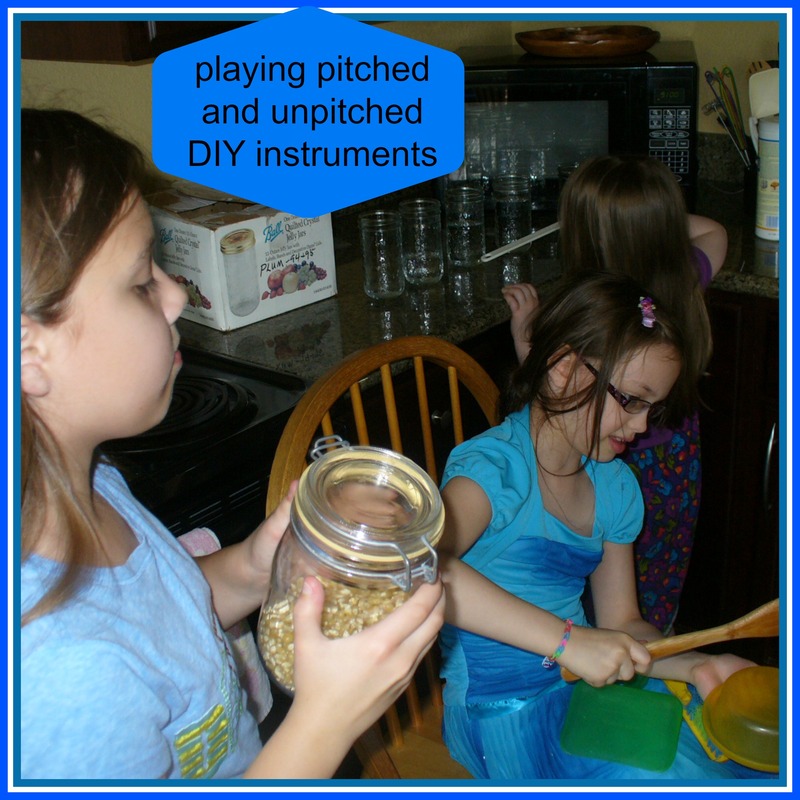 We pulled up several videos and sound clips on pitched percussion, such as marimba, xylophone, glockenspiel, vibraphone, and chimes. One very good link was from the Dallas Symphony Orchestra. We also used the opportunity to look at pictures of the various pitched percussion and compare them. Then, we turned on the music and let them play along with The Sorcerer’s Apprentice. 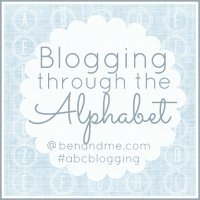 Tune in next week to see what is chosen for letter B, as we blog through the alphabet with Ben and Me. 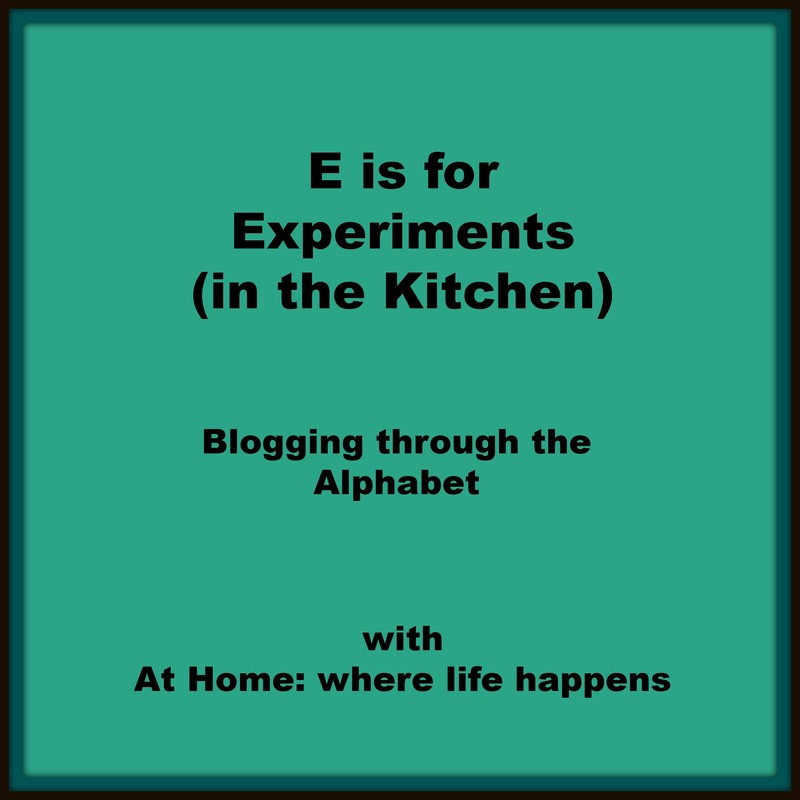 In the meantime, go visit some of the other blogs that are blogging the alphabet with us.